Microsoft's Joe Belfiore is expected to announce tomorrow at the Microsoft Build conference, a new Windows 10 app called "Your Phone." The Universal Windows Platform app will provide a "seamless transition of content" between a PC and a smartphone. With the app, you will be able to transfer photos, messages and notifications between the two devices. By "seamless," Microsoft means that as soon as you snap a picture using your phone, the image becomes available for use on your PC automatically. "Your Phone" is listed on the Microsoft Store, and we installed it on our Windows 10 PC. 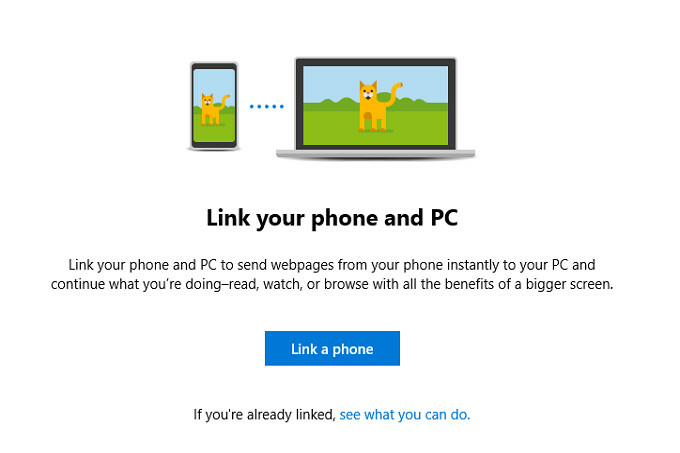 According to Microsoft, the app will "link your phone and PC to send webpages instantly from your phone to your PC and continue what you're doing-read, watch or browse with the benefits of a bigger screen." After following the prompts, you type in your phone number to receive the Microsoft Launcher app. Open the app, sign in, and your phone (or should we say Your Phone) and your PC are connected. 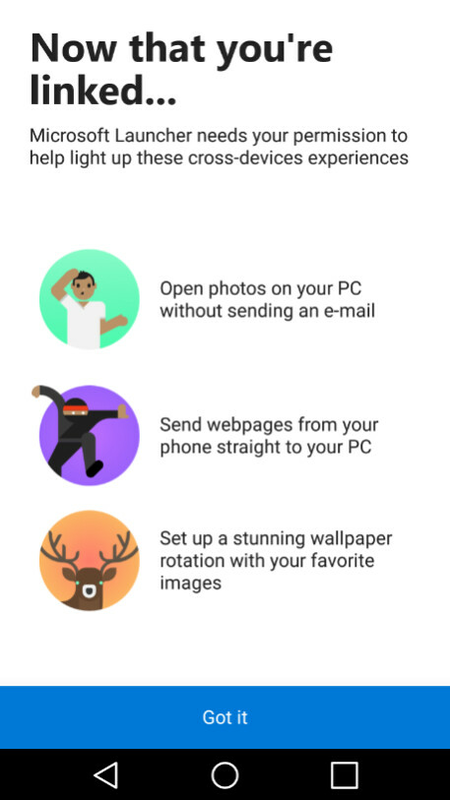 Imagine, you will be able to snap a picture on your phone and see it instantly on your PC without sending an email. If you have a Windows 10 PC with X64 or X86 architecture, you can install Your Phone by clicking on the sourcelink. By the way, yesterday we told you that Microsoft has brought Windows 10's Timeline feature to Android. Which OS will be supported? It's most likely Windows 8 and above. It'll be smoother on Windows 10 though. i'm pretty sure he meant "Which Phone OS"
I'm not sure what you mean. The title only mentions the app as a UWP which runs on Windows to connect to your smartphone. No smartphone OS information there. Did you use mobile version of this site? View desktop version, go look under title and date, or Find "Tags :" on this page.. This reminds me how I can use iMessage and Airdrop on my MacBook, but this seems a bit more uniform since it's just one program. Cool. I am a user of Microsoft launcher and may be this will convert me to Microsoft Edge. I love Edge on both PC and Android but, I need Google Chrome's translation. Yes, I typed that from Samsung Internet browser. I'm just glad Windows 10 Mobile is now dead! No, don't get me wrong; I absolutely love W10M but it was too little, too late in the game and I'm just glad that Microsoft is finally focusing on Android instead of a... Well, a dead horse! In any case; I'm definitely going to try this app as I spend most of my time on The PC and happen to be all about seamless synchronization. G'Day! It will be on android provided you installed the Microsoft launcher app. I wanted this kind of app on my PC and smartphone os,they have made it easy,good job msft.